California’s “reporting time pay” regulations are back in the news after the recent California appellate court decision in Ward v. Tilly’s, Inc. held that employees who worked on-call or “call-in” shifts were entitled to half-shift reporting time pay, even when not required to physically come to the job site. In light of this new “report for work” interpretation, it is important for companies with California employees to understand the reporting time pay requirements and strategies to avoid costly wage and hour litigation arising from potential violations of these rules. the employee voluntarily leaves work early. While the Ward case dealt only with California employees subject to Wage Order 7 (covering the mercantile industry), Wage Orders 1 to 16 (out of 18), which taken together govern everything from manufacturing to transportation to “amusement and recreation” to “handling products after harvest,” also contain the same reporting time pay provisions. Application of Section 5 of the Wage Order is fairly straightforward in most cases. An employee who “reports for work” and is dismissed before the half-way point of her scheduled shift is entitled to payment as though she had worked half of her shift. Assuming the employee was scheduled for only one shift in a day, the minimum daily amount owed to the employee for an abbreviated shift, including for time worked and reporting time pay, would be two hours (applicable for shifts of 4 hours or less) and the maximum daily amount owed would be four hours (for shifts of eight hours or greater). Reporting time pay is not counted as hours worked for purposes of determining overtime. So an employee who reported to work for a 7-hour shift, and was dismissed after 2 hours, would be entitled to 1.5 hours of reporting time pay, to bring her daily pay up to 3.5 hours for the day (half of her 7-hour scheduled shift). If the extra 1.5 hours of reporting pay received by the employee brought her above 40 hours for the workweek (e.g., from 39.5 to 41), these hours would not be counted as overtime hours since they were hours not actually worked. Although the reporting time pay calculations appear largely clear, Ward “muddied the waters” for determining what it means for an employee to “report for work.” The case, a putative class action on behalf of employees of the clothing retailer, Tilly’s, involved employees who had both on-call and scheduled shifts. For their on-call shifts, Tilly’s required employees to call in two-hours prior to the start of their shift to see if they needed to report. If they were not required to physically report to work, they were not paid for the on-call shift. The divided Ward court held that the telephonic “reporting” required of Tilly’s employees met the regulatory definition of “report for work” thereby triggering the employees’ entitlement to reporting time pay. The court noted that although telephonic reporting was not a common practice when the Wage Order was issued, telephonic reporting and in-person reporting gave rise to the same concerns about inefficient and abusive scheduling practices that caused inconvenience and expense to workers. Thus, the court found that the regulation should extend to telephonic reporting practices because the alleged on-call shifts imposed significant limitations on the employees, such as interfering with them making other plans (either professional or personal) for times where they might be required to work. How are we—an appellate court limited to the narrow record before us—to determine how much notice is enough to avoid a violation of the wage order? What if employees are required to call in eight hours in advance instead of two? How about 12 hours? Twenty-four? Three days? A week? At oral argument, Ward’s counsel seemed to offer a concession that a requirement employees call in 24 hours in advance would be legal. But a concession by one attorney in one case cannot bind all of the plaintiffs’ lawyers across the state who might choose to file similar lawsuits. In light of the ruling in Ward, employers who utilize call-in or on-call procedures for their employees in California should review their policies and practices to ensure that they do not conflict with California’s reporting time pay requirements post-Ward. 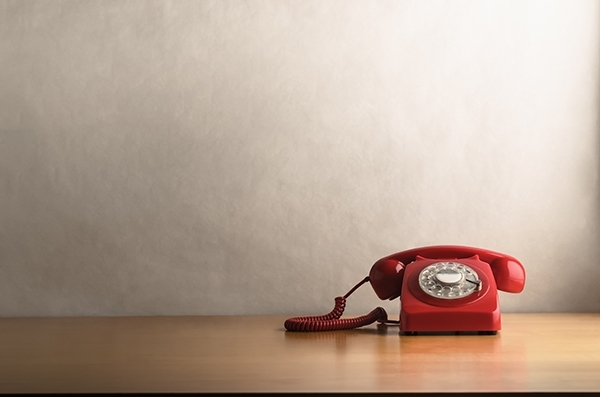 While it remains unclear how much call-in notice is required to avoid reporting-time pay obligations, after Ward, employers should assume that any same-day call-in or on-call requirement will trigger reporting time pay. California employers who wish to maintain call-in shifts and avoid reporting time pay obligations should extend the call-in notice period as far in advance of the employee’s shift as practical. Even so these practices may provoke legal challenges from the plaintiffs’ bar. Ward also presents an opportunity for California employers to assess vulnerabilities in their reporting time pay practices. Managers and payroll departments should have a clear understanding that the Wage Orders contain very narrow exceptions for not providing reporting time pay. Employees who are dismissed early due to lack of work, poor performance, or scheduling errors are still entitled to reporting time pay, even if called back to work later the same day. Similarly, employees called in for meetings on their off days, including for termination, are entitled to reporting time pay of at least two hours. California employers should also consider reviewing their scheduling practices to minimize reporting time pay requirements. Reporting time pay requirements are only triggered when employees work less than half of their “usual or scheduled day’s work,” and the amount of the pay entitlement is likewise dependent on the length of the scheduled shift (as well as the employee’s regular rate of pay). If work slowdowns or other conditions regularly cause employees to be dismissed early for reasons not exempt under the Wage Order, companies could utilize shorter shifts for certain employees who are more frequently dismissed to reduce the number of shifts requiring reporting time pay and the amounts of reporting time pay required per shift. Although each company and business will have unique scheduling needs and practices, it is important to strike the right balance in navigating California reporting time pay issues to minimize legal risk while meeting the operational needs of the business.